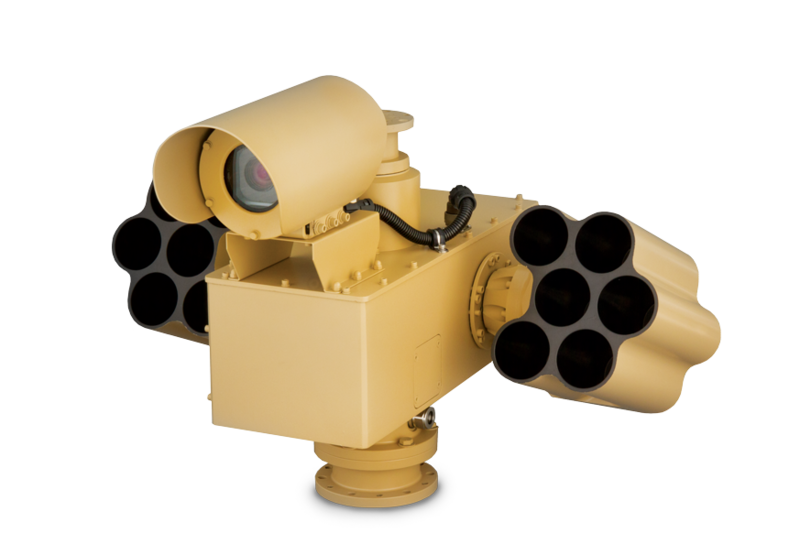 EAGLS is designed to accommodate the 66mm family of non-lethal grenades, including smoke and anti-riot. The system is comprised of an electromechanically controlled, dual-axis positioner supporting two grenade discharge racks. Each discharge rack has the capacity for six grenades and allows troops to individually position and deploy grenades up to 100m away. The launcher is continuously adjustable in azimuth and discretely adjustable in elevation for range select (grenade dependent). EAGLS allows for shoot-on-the-move capability and multiple placement options on vehicles. The EAGLS offers better scalability of effects than current non-lethal weapon systems, enabling warfighters from peace engagement to conventional warfare. EAGLS provides a self-contained, fully articulated launcher, which can be added to any combat or tactical vehicle to increase mission success in harsh mobile or stationary environments. The GLS is an electromechanically controlled, dual-axis drive mechanism for positioning two grenade discharge racks at four discrete elevation angles, corresponding to desired firing ranges. Each discharge rack contains six grenades and allows the operator to individually deploy a combination of smoke and/or non-lethal blunt trauma and distraction grenades at distances up to 100 meters. 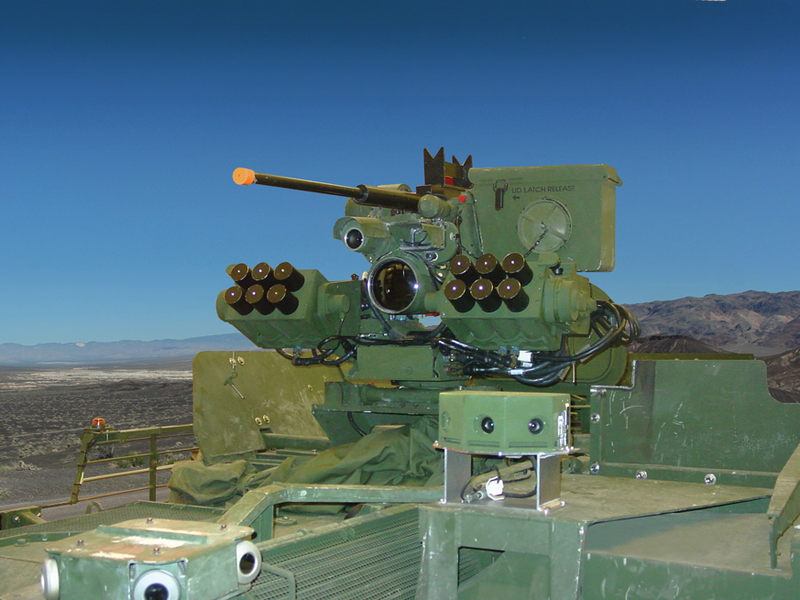 The motor controller and discharge rack drive sub-assemblies are mounted to the existing Remote Weapon Station (RWS) structure. The launcher assembly is designed to be modular and adaptable to facilitate a variety of platforms.